This piece draws from Schubert’s set of Four Impromptus, Op.142. The word ‘impromptu’ literally translates as ‘improvisation’, and there is a sense of lyrical flow and spontaneity of line and structure throughout all of Schubert’s impromptus. This Impromptu in B flat major is a theme with five variations and coda. The main theme resembles that from the incidental music which Schubert composed for the play Rosamunde, which also appears in the second movement of his 13th string quartet. The variations follow the classic pattern utilized and developed by Beethoven – elements include increasing subdivision and ornamentation, and a modulation prior to a return to the tonic for the final full variation, similar to the Arietta of Beethoven’s Sonata in C minor Op.111, and most prominently, the Diabelli Variations. 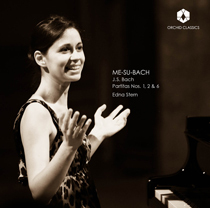 The term “étude” has long been used as a genre to categorise pieces of technical, sometimes virtuosic, difficulty, with its primary focus on training and refining specific aspects of the technique of a performer in private, rather than in public. But Chopin pioneered the use of the etude as an art form, with an emotional aspect that transcends the mere execution of notes. The Etude in A minor is the penultimate etude of Chopin’s set of Twelve Etudes, Op.25. Following a calm, sonorous and mysterious stately opening, the piece explodes into a torrent of sound, with a march-like rhythmic figure in the left hand and a cascade of chromaticised leaps in the right, all conveying a sense of fury, which lead to its nickname of ‘Winter Wind’. Fantaisie in F minor, Op.49, is a single-movement work for the piano, composed in 1841. From Chopin’s letters it is known that he used the name “fantasy” to show some sort of freedom from rules and to give a Romantic expression. This work belongs to the fantasy form, a free composition in terms of form and inspiration. Beginning with a solemn stately marching theme, the music eventually plunges into a passionate and virtuosic character, still with elements of marching, but more triumphant and positive in mood. Approximately halfway through the piece is a slow and sombre chorale-like section, before the previous section is restated. After a short, quiet and sweet improvisatory statement not unlike an operatic recitative, the music leads into a final flourish as the work cadences in the major key. This newly-developed musical aspect of the etude persisted as a feature of the repertoire of the Romantic era; among others, Liszt was also particularly famous for his technically intense yet passionate concert etudes; indeed Liszt was inspired by Chopin here. ‘La campanella’ translates as ‘the little bell’, and is the third etude from Liszt’s book of Grandes études de Paganini, which was a revision of his earlier Études d’exécution transcendente d’après Paganini. The melody of this etude is based on the final movement from Paganini’s Violin Concerto No.2. This etude is an exploration of melodic leaps, dexterity, and stamina. In the period when he was most active as a virtuoso, Liszt travelled widely, especially during the years 1835-39. During these years he produced a large quantity of solo piano music, including Album d’un voyageur (A Traveller’s Album), later to be included in his Années de pèlerinage (Years of Pilgrimage), which he published in three volumes. The first volume (1855) was labelled “Switzerland,” of which most pieces bear explicit literary references to Schiller, Byron or Senancour. The author cited in the collection for Vallée d’Obermann, is Étienne Pivert de Senancour (1770-1846), who, though born in Paris, spent the years of the French Revolution in Switzerland. His Obermann (1804) takes the form of letters written by a melancholy individual living alone in the valley of the Jura – presumably the “Valley of Obermann”, to which Liszt’s piece refers. 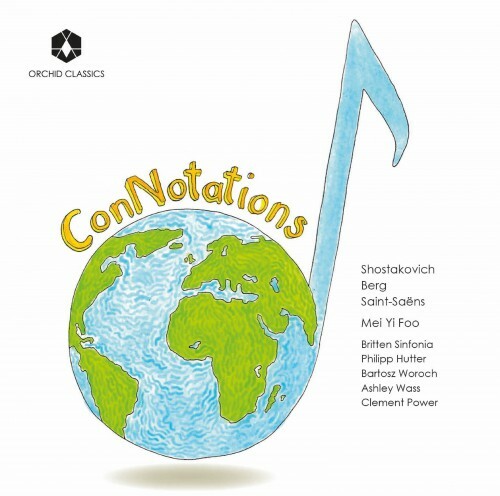 The work is essentially a tone-poem for piano, developing with the imaginative use of thematic transformation, which was to be the principal structural feature of his orchestral tone poems. It traces a path from darkness to light, the opening mood depicted by the long quotation from Senancour’s book, which Liszt places at the head of the piece, beginning: “What do I want? What am I? What to ask of nature?…Every cause is invisible, every end deceptive; every form changes…” This mood of emptiness is captured by the slowly descending scale lines of the opening, and the constant questions are echoed by several clear musical questions that interrupt the ongoing development of the downward-moving gure. Before long a more songful extension of the questioning motif appears, and the material unfolds in an increasingly emphatic, brilliant, dramatic and colourful way. The term ‘aquarelle’ translates as ‘watercolour’, and my set of pieces is a neo- impressionist collection of watercolour paintings in the form of music. These three pieces were written between 2011-2013, and are all highly programmatic, and form a clear representation of my personal musical language during my early- mid teenage years. The three pieces may be performed as a set, or individually. ‘Waves’, which was finished in May 2011 was initially inspired by the impressionistic painting Breaking Wave (1922) by Emil Carlsen. Personally I’m fond of the seaside, be it a warm and sunny day or a cloudy and windy day. The open sea, blue waters, changeable tides, surging waves and endless sky are all likely to inspire my musical imagination. This piece won both the 1st Prize and the sole Overall Prize in the EPTA UK Composition Competition 2011 and Highly- Commended in the BBC Proms Composition Competition 2011. ‘The Sun Sinks Beyond the Mountain Ridge’ was finished in early 2013 and depicts dynamic, beautiful and poetic scenery where the sun slowly sets beyond the magnificent mountains. The overall mood of the piece is calm and poignant. The opening of the piece represents the bright, burning orange sun at dusk, and is followed by a large eagle swooping in front of the sun and flying away. The middle section is livelier and slightly faster-moving as it portrays animals going home in the mountains. In the final section, towards the end of the piece, the majestic mountains dominating the tired sun are illustrated in the music, which leads to the end where the sun almost completely disappears. ‘The Haunted Bell’ represents a “haunted bell” of a clock tower that chimes only at midnight. Strange, eerie and ghostly things are appearing around the bell, which is characterised by the sounding E flat note directly above middle C. This E flat, or the midnight “haunted bell”, sounds 13 times throughout the piece. Since 13 is conventionally a special number indicating unluckiness, and in view of the fact that clocks or bells don’t sound more than 12 times, the music is intended to represent a supernaturally atmospheric conception. This piece won the 1st Prize in the Golden Key International Piano Composition Competition in 2012, and was broadcast throughout the UK on BBC 2, BBC 4 and BBC Radio 3. Liuyang River is a popular Chinese folk song, arranged here for solo piano. The piece is calm and joyful, with the use of arpeggios and scalic figurations on the piano to give the impression of a gentle river flowing. The composer writes: Landscape was written in 1995 for volume one of the ABRSM’s Spectrum contemporary piano music series. The title is fairly self- explanatory in that the opening chord of the piece is constantly transformed throughout the work, creating an atmospheric harmonic and textural musical landscape. Farewell to Stromness is one of the two piano interludes of Maxwell Davies’s ‘Yellow Cake Revue’, a work which is otherwise a sequence of cabaret songs and recitations. Composed in 1980 as a protest against a uranium mine proposition on the distant Orkney Islands where the composer lived, the title of the piece refers to the town of Stromness, which was a few miles from where the mine was to be dug. Whilst Farewell to Stromness isn’t a particular representation of Maxwell Davies’s ‘general’ compositional style, which leant more towards the avant-garde in terms of structure and sound-world, it has become one of the most accessible and popular pieces of today. 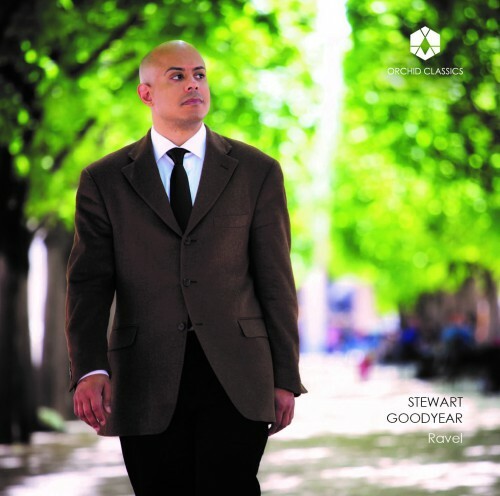 This album was recorded in August 2016, which was five months after Maxwell Davies’s death. My performance of ‘Farewell to Stromness’ is a tribute to the great influential composer, and is dedicated to his memory. Born in 1997, Edinburgh, Yuanfan Yang is now studying piano and composition at the Royal Academy of Music in London, after studying for seven years at Chetham’s School of Music. 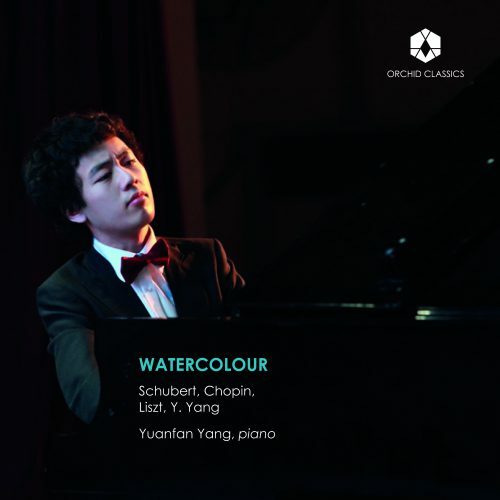 Yuanfan has won 1st Prize at the Cleveland International Young Artists Piano Competition in the USA in 2015, 1st Prize at the 4th International Franz Liszt Piano Competition in Weimar, Germany in 2014, where he was awarded the Special Prize for Best Composition and Improvisation, and the European Union of Music Competitions for Youth (EMCY) Prize for Most Outstanding Contestant. He has performed for many eminent music societies, festivals and key events throughout numerous countries. Yuanfan is also a versatile composer and an accomplished improviser. He has won prizes in many composition competitions including the BBC Proms Young Composers Competition 2011, the Golden Key International Piano Composition Competition in 2012, the National Centre for Early Music Composers’ Award 2013, and the Royal Academy’s Alan Bush Composition Competition 2016. A number of his works have been broadcast on BBC TV and Radio. His piano concerto ‘The Wilderness’, composed in 2014, has been performed in Qianjiang, Wuhan, Manchester, London and Paris, being enthusiastically received with critical acclaim from the press and audience.